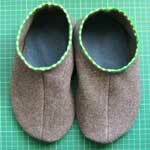 Keep your feet happy and warm with slippers you make with free slipper patterns. Slippers are a must have especially when it's cold outside. There is no reason for anyone to go without a pair when they are so simple to make. 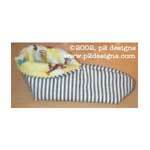 Find slipper patterns for baby, kids and adults. 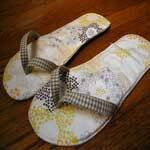 Choose from spa slippers, flip flops for summer time, warm fleece slippers, recycled, ballerina and many others. Sew a pair for any season and for any reason, just follow the pattern. 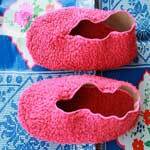 These slippers are very easy to make and a great project for beginners too. Felt is the ideal fabric to work with, since it won't unravel when cut. 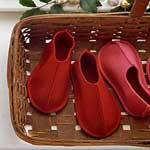 These slippers give you something soft and stylish to wear while trying to stay cool. 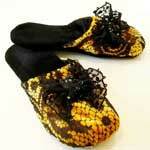 Frog slipper projects for adults and children alike. 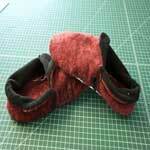 Make these easy and fun slippers that tie above the toe. These spa slippers are for treating tired soles that like to relax. Easy step by step instructions. 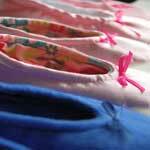 Make your own cute and cozy ballerina slippers in all sorts of colors. 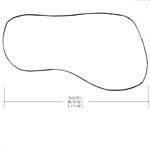 This pattern calls for wool fabric and is very simple to make. 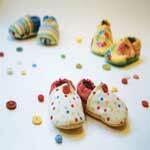 It doesn't take much to make these cute baby slippers, just use scraps of fabric. 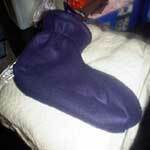 Quick and easy to make from polar fleece or sweatshirt fleece. 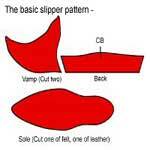 This pattern is in step by step format to make sewing slippers easy from beginning to end. Here is a pattern that has detailed instructions for making comfy slippers for yourself or to give as a thoughtful gift. Spoil your feet by giving them a pair of velvet slippers to rest in. 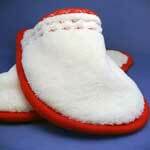 You can make a pair of fleece slippers even more special by adding the monogram of that special someone in your life. 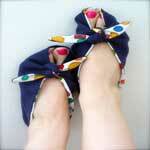 Use colorful prints or just plain solid fabric and make these pretty slippers that can also be worn as shoes. Make a matching mother and daughter set of these adorable slippers that resemble the design of a ballet slipper. 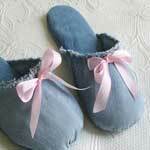 These attractive slip-on slippers are made out of soft denim with a bow on top. Create these slippers that are designed to look like Mary Janes. 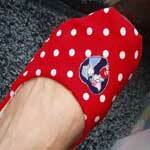 Girls and women alike will love wearing these charming slippers. Go back in time by wearing these awesome looking slippers with a pointed toe. Makes a great gift.